DCU set up the first leg of what they hoped would be an impressive double as they saw off DIT in the Lynch Cup decider at CIT on Saturdayafternoon. While the college had claimed victory in this competition twice in the past, this was the first time that their âsecondâ team had done so. A wide spread of scorers stood them in good stead and though they fell behind to an early Amy Ring point, they soon hit the front as points from Kate Caulfield (two) and Michelle Farrell were followed by a fine Caulfield goal. That cushion pertained for much of the first half and Ailbhe Clancyâs free put them in a good position as they led by 1-6 to 0-3 after 26 minutes, but three from Ring â who finished with seven â left just a goal in it at half-time. Meaghan Dunneâs point for DIT brought the deficit back to two early in the second half but three fine points by Clancy, two from frees, ensured that the initiative returned to DCU. Nicole Feery added two more points to leave it 1-13 to 0-8 as the final 10 minutes elapsed before Amy Murphyâs good individual point provided a DIT response. However, the next passage of play result in DIT defender SinÃ©ad Comerford sustaining a bad injury, with play held up for the best part of 20 minutes as she was treated before departing in an ambulance. When the action resumed, Ferry rocketed a long-range shot to the roof of the DIT net to open up a 2-13 to 0-9 lead and seemingly clinch matters. 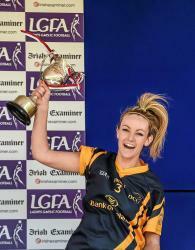 DIT never gave up and Ring got a point back before Amy Murphy netted in the dying moments but DCU had done enough. 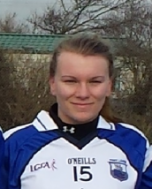 Scorers for DCU: N Feery 1-3, K Caulfield 1-2, A Clancy 0-4 (0-3f), L Tully 0-2, M Scully, M Guckian 0-1 each. Scorers for DIT: A Ring 0-7 (0-2f), A Murphy 1-1, M Dunne, K Dwyer 0-1 each. DCU: A Mahony (Dublin); K McKinney (Donegal), F OâSullivan (Cork), N Lister (Meath); AM Logue (Donegal), M Noonan (Longford), S Farrell (Longford); M Farrell (Longford), A Norris (Offaly); K Caulfield (Wexford), A Clancy (Leitrim), L Tully (Mayo); N Feery (Westmeath), S Brady (Sligo), M Scully (Kildare). DIT: S Kellet (Dublin); L Gilman (Cork), S Comerford (Dublin), C Troy (Wexford); A Curran (Dublin), N McGettigan (Wicklow), N Harney (Dublin); C Murphy (Dublin), S Brady (Roscommon); A Murphy (Wicklow), E Heaney (Longford), K Murphy (Dublin); K Dwyer (Dublin), N de Graff (Meath), A Ring (Dublin).